SC (Subscriber Connector) : EIA/TIA, FOCIS-3, IEC-61754-4. 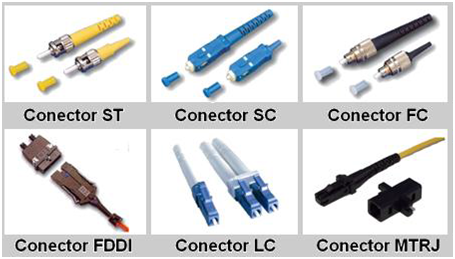 LC (Lucent Connector): FOCIS-10, EIA/TIA-604-10, IEC-61754-20. FC (Fixed Connector): FOCIS-4, EIA/TIA-604-04, IEC 61754-13. ST (Straight Tip): FOCIS-2, EIA/TIA-604-2.